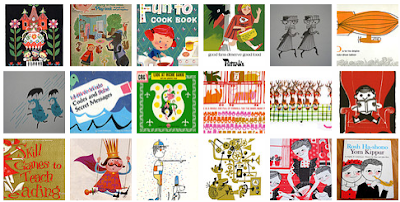 Also, remember to take a look at the Retro Kid Flickr pool that has thousands of images contributed by people around the world. What a great source of inspiration! 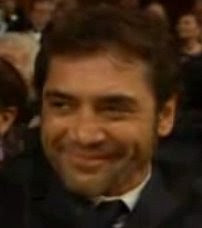 And then, this is not really related to doodling or anything... but please allow me to just say this: isn't Javier Bardem the most adorable man ever? For some reason I totally missed the Oscar, but my co-worker showed me this clip and I just think it's so sweet that he brought his mom as his date. Now I really want to watch No Country for Old Men. He is HOT! 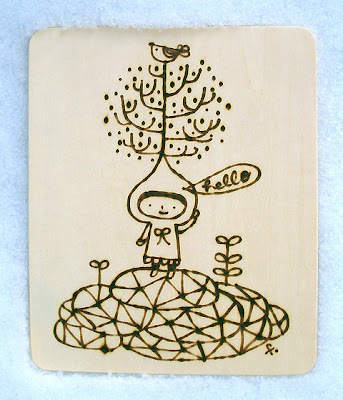 In "Diary", "Inspirations on the Web", "Woodburning"